Participants are expected to listen to all members of staff, follow their instructions and treat them with respect at all times. Rude and abusive language will not be tolerated. Staff in turn commit to treat all participants with the respect and care needed to create a safe and comfortable enviroment for the participants. Bullying, whether of a verbal or a physical nature, which causes anxiety or spoils the enjoyment of others, will not be tolerated. This includes preventing the sleep of others at night. 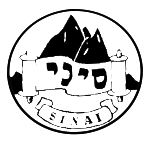 Sinai is a religious movement and, as such, we expect all our participants at camp to respect our atmosphere of religious observance, regardless of their personal commitment or religious background. All participants are expected to fully observe the laws of Kashrut, prayer and Shabbat whilst on camp. Clear guidelines are given as to a suitable dress code and to interactions between boys and girls when participants arrive on camp. Madrichim reserve the right to ask a participant to change their clothing if deemed unsuitable. These basic guidelines are designed to ensure that all our camps operate within the religious framework that we educate towards. All failure to follow the expected conduct may result in the removal of the participant from camp.